Time:7PM Wednesday December 16th, 2015. Sadly we will not be having Theology on Tap this month. However, we’re still going to all get together! We’re playing TRIVIA! 1.) What Randy Newman song is illegal to play on the radio in Maryland? 2). What were Chihuahuas originally bred for? 3). In 1992, 2,421 people in the US were injured at home by their what? 4). What is the cub of a female lion and a male tiger called? 5). On average, what animal kills more people each year than aviation crashes? 6). What does CYA stand for? If you can’t answer at least ONE of those questions without looking it up, trivia night may not be for you. BUT that’s OK! We’re meeting at 7:00, a full HOUR before the trivia game actually starts, just to hang out, have fun, and talk about Catholic stuff. Is this Catholic trivia? No. You can almost bet there will be no Catholic-related questions because this is not a Catholic-hosted event, BUT if there ARE any Catholic questions, rest assured that we will dominate. Can I bring my cat? No. Do I have to be 21 to attend? No. Do they have food? Yes! What do we win? We probably won’t win, but if we do 1st place gets a $20 giftcard and a bucket of beers, 2nd place gets a $20 giftcard, and 3rd place gets a bucket of beers! But hey, everybody’s a winner in our book! So come join us and have some FUN! 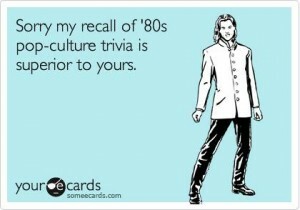 Oh, and in case you were wondering about the answers to the test trivia questions I asked earlier..
2). Food! –I’m not the biggest fan of dogs soooo sounds good to me! 12/10/2015CYA Social @ Fassler Hall! I hope you all are having a great Holiday Season! 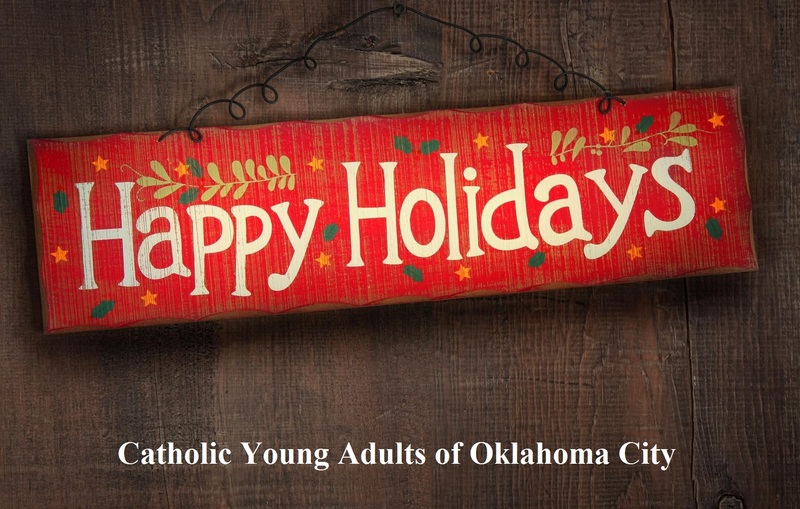 Come share your Holiday Joy with the Catholic Young Adults of OKC! It has been great to experience amazing conversation, a great atmosphere, meeting new friendly people, and delicious food and drink! These are some of the things I BELIEVE many of us have experienced during the Catholic Young Adult Social! If you have never been, I suggest YOU come! It’s a really great time with plenty of fellowship! I promise you will find it to be ADVENTageous! For the ones that have been, I hope I continue to SEE your SMILING face! 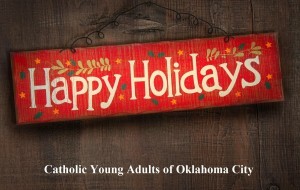 Please invite other Catholic Young Adults to attend! I’m looking forward to seeing you all!